Update your links! I am moving to Blogger (thanks, Cat, and others who gave advice)! 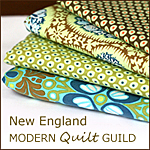 My new blog will (hopefully) reflect the new approach I am taking to my quilting and sewing. Please join me at Stripes & Solids, where my first post is a Spiderweb block tutorial!